We’ve found great deals at 15 hotels! 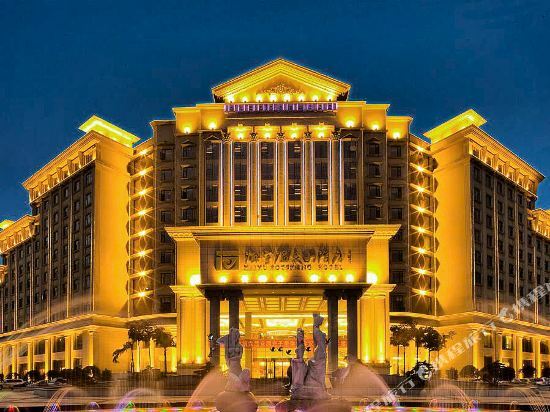 The Haiyu Hotspring Hotel (Haiyu Wenquan Dajiudian) is situated close to the popular Jialing Fengqing pedestrian street in Beibei District. The hot springs here are popular with locals and with visitors from the metropolis of <a target="_blank" href="http://www.chinatravel.net/china-destinations/chongqing/cityintroduction-100.html">Chongqing</a>, roughly 45 minutes away via highway. The rooms and amenities are decent—there is no Internet connection, but the rooms will be clean and the service prompt. The real draw here are the hot springs; the rooms are just there to store your dry clothes. Part of the international Days Inn hotel chain, SUN KINGDOM HOT SPRING&RESORT HOTEL CHONGQING (Chongqing Shangbang Daisi Jiudian) sits a 30-minute drive from Chongqing's airport, a dock and a railway station. The nearby Chengyu Expressway and North Outer-Ring Expressway make coming to and from the hotel easier. The hotel also sits near a golf course. This Chongqing hotel offers both guestrooms and villas, each offering satellite flatscreen TVs and broadband Internet access. Nine meeting and function rooms include simultaneous translation and multimedia projectors. Guests can relax with a game on the nearby golf course, mingle at the bar or belt out a song in one of the hotel's karaoke rooms. The Beity Hot Spring Tourism Resort (Beidi Yiyuan Wenquan Dujia Jiudian) is located in Chongqing City, between one and second ring traffic lines. 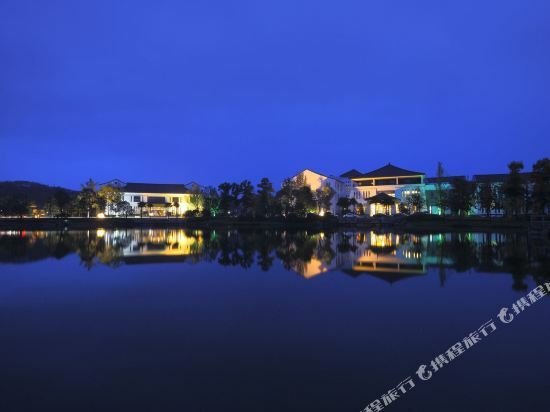 It's composed by hotel, spa recreation center, villa, tang house, tennis court, and intelligent agriculture tourism greenhouse. 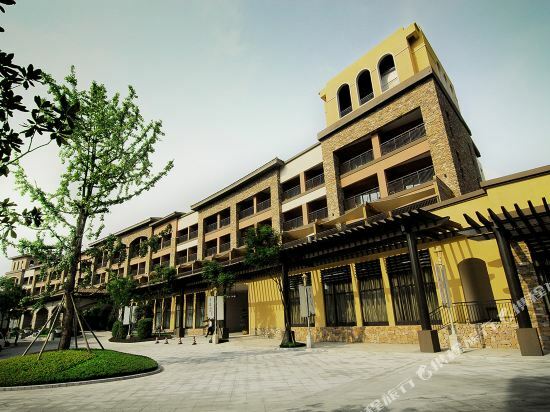 This resort adopts the traditional Chinese garden design style. Some rooms are equipped with separate indoor bubble pools. There are six independent tang houses where guests can enjoy the indoor view with the lightly tea, coffee and elegant music. Six VIP deluxe rooms with thoughtful services provide a purely private space for the enjoyment of guests. The hot spring restaurant Spa Gourmet Place is an excellent place to go after the health spa. The fine cuisine offers the perfect energy supplement. The Chinese restaurant Yi Shange Healthy Dining Hall features self-cultivated eco-dishes including aquatic products and vegetables. Western restaurant offers buffet and a la cater menu to enable guests having international culinary experience while enjoying the exquisite garden’s view of back side. Business guests will find eight conference rooms with excellent meeting facilities at their disposal. There is also a professional team providing considerate meeting services. For recreation, the resort features more than 30 hot spring pools using native hot spring from 2080 meters underground. The spa center provides Thai style spa. In addition, two tennis courts offer good venues for sports fans. 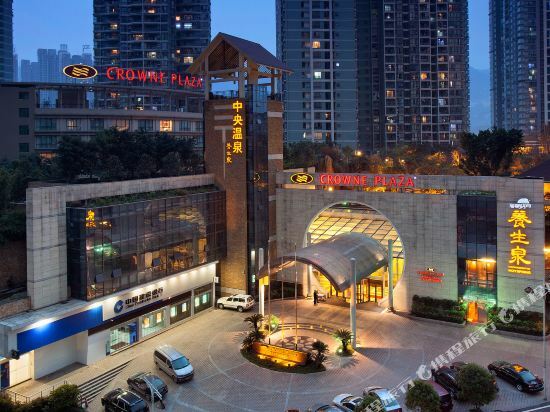 The Crowne Plaza Chongqing Riverside (Chongqing Binjiang Huangguan Jiari Jiudian) is situated in downtown Chongqing, within walking distance of the popular Nanbin Road Food Street and close to the Yangtze River. All rooms in this Chongqing hotel have Philips sound systems, satellite TVs, Internet access and mini-bars. Internet access is also available in public areas. This hotel features a business center, five function rooms and a 420-seat ballroom, suitable for a range of events. On-site dining options include a cafe which serves both Asian and Western cuisine and which offers private dining rooms. Guests may also enjoy drinks in the hotel bar. Recreational options include a fitness center and hot spring pools, which feature water piped directly from underground spring sources. The Banyan Tree Chongqing Beibei (Chongqing Beibei Yuerongzhuang) occupies a number of villas at the foot of Jinyun Shan (Mount Jinyun) Nature Reserve. In terms of dining, guests can enjoy Cantonese foods at the Baiyun Restaurant or local dishes at the Jinyaoxuan Restaurant. Additionally, the Pool Bar is a nice venue to meet new friends while enjoying fruit juices, cocktails and snacks. To unwind, guests can get a massage at the on-site spa after a day of travel. Hot spring pools and swimming pools are available in some villas. If you want to stay in the best hotel in Chongqing, China, please come to Trip.com for a custom trip. 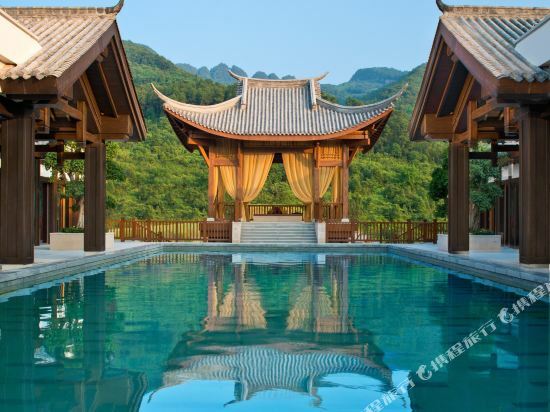 Staying in exclusive Chongqing Hot springs hotel Trip.com offers, you can fully relax and enjoy the stay in Chongqing and around Chongqing. 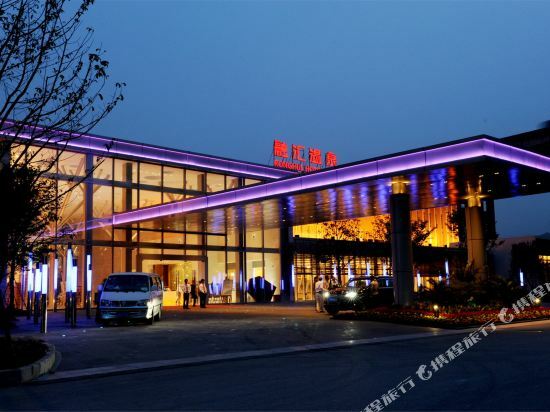 All these Chongqing Hot springs hotels lead in the industry in aspects of environment and recreation facilities, providing the best hotel service in Chongqing. To ensure that you can find the latest Hot springs hotel in Chongqing, the latest hotel price as well as hotel facilities and indoor facilities information will be offered. In the meantime, detailed photos of Chongqing Hot springs hotel will be displayed, making you know quickly whether hotel’s interior environment meets your taste. Besides, you can know specific location and reviews on Chongqing Hot springs hotel from millions of users. If you want a nice room with limited budget, please filter through price and distance to get an appropriate Chongqing Hot springs hotel. To ensure you can experience the best Chongqing Hot springs hotel, users and we give a comprehensive rating on hotel, which gives useful help. Believe it or not, as the biggest online travel service company, we have the best service assurance and perfect users’ experience to meet your requirements in different aspects, no matter it’s Chongqing hotel or Chongqing Hot springs hotel.